New Delhi: Drug prices may come down sharply in the coming days as government is likely to cap the trading margin on medicines at 35 percent. Chemists and wholesalers are charging margins as high as 2000-3000 per cent in some medicines. Therefore, there is a huge difference between the costing of medicine to retailer and its selling price. It needs to be checked, a senior government official told PTI. “We have came to the conclusion that to check this irrational margin…we have to put a cap. Now we are looking at what levels it should be done. The committee under Department of Pharmaceuticals (DoP) has proposed to cap the margin at 35 per cent. We are looking into that also,” the official added. Trading margin is the margin which wholesalers and retailers earn by selling the medicines. Last year, the government formed a committee headed by Joint Secretary in DoP. The committee, which also included members from leading industry bodies, NGOs, National Pharmaceutical Pricing Authority(NPPA) and the Competition Commission of India, recommended the margin at 35 per cent. According to sources, the Prime Minister’s Office had also asked the DoP to address this issue. A total of 680 medicines are under the National List of Essential Medicines (NLEM) under the scheduled category of DPCO, 2013. The NPPA has already fixed the ceiling prices in respect of 530 medicines. Out of these 530 scheduled formulations, the price reduction was above 40 per cent in 126 drugs compared with the highest prevailing price prior to announcement of DPCO. 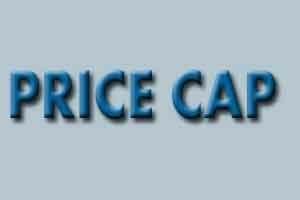 Above 40 per cent reduction in prices of non-scheduled medicines was also effected for 19 formulations with respect to highest prevailing MRP prior to price capping.